HomeMedia CentreDo We Need To Be Worried About Asbestos In Our Schools? Do We Need To Be Worried About Asbestos In Our Schools? As more and more cases of asbestos-related diseases hit the headlines, concern is mounting about the deadly substance being present in our schools and whether enough is being done to protect children and staff who work there. 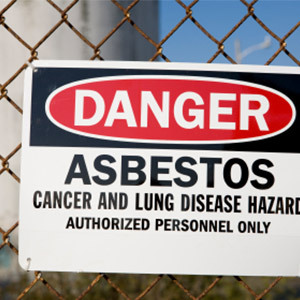 Asbestos is known for causing a range of very serious and often deadly illnesses, namely, asbestosis, mesothelioma and pleural thickening of the lungs. It was banned in 1999 in the UK but was used heavily in the sixties and seventies during the construction and refurbishment of many buildings. Knowledge about the dangers of asbestos continues to grow but despite a number of different work-related health and safety laws, campaigners are saying that the government is not doing enough to protect children, teachers and support staff long-term. Children are still exposed to asbestos in schools according to some unions and a recent BBC article drew on statistics that reported nine out of 10 schools had asbestos in them. An NUT (The National Union of Teachers) poll, which questioned 201 members in March, revealed that 44% of the members did not know whether or not their school contained asbestos or not. Further statistics show that there are between approximately 200 and 300 children who went to school with asbestos who die of mesothelioma every year and the number of teachers dying of the disease is also rising according to a spokesman for the NUT. In 2012, there were 22 teachers that died from the illness while figures from 1980 show there were only three deaths. She said that some asbestos is now deteriorating which makes it much more harmful than when it is in situ. She advised that if parents are worried about the substance in schools then they should ask the school about it. A spokesperson for the Health and Safety Executive said in an interview with the BBC that breathing in asbestos fibres can be fatal and that if the fibres are undisturbed then the risk is lowered. He said it was impossible to remove all asbestos as it was ‘endemic’. Many campaigners are not satisfied with this theory. Although removing asbestos from schools would cost billions and take decades to complete, many people believe that more action still needs to be taken and a more rigorous approach for asbestos management is overdue. Michael Lees, founder of the Asbestos in Schools Campaign, lost his wife, who was a teacher, to mesothelioma. He said it is rhetoric to say that asbestos is fine if left undisturbed because it is inevitable that if children are present, then the asbestos is prone to being damaged. Mr Lees requested information from 177 Local Authorities and found that 85% of them had asbestos present, a figure greater than what had previously been estimated by the government. He said the government is sticking its head in the sand and it should admit there is a serious problem. The views held by most who want to see a change in law have been voiced following the Asbestos in Schools Review which was conducted and published by the Department for Education last month. The government has also stated that asbestos will be removed when they are refurbished under the Priority Schools Building Programme. The NUT and Asbestos in School campaign Group say there are a number of different, positive proposals within the review including training and guidance for school staff but there is a lack of long-term strategy. There was no indication from the government about what the predicted number of asbestos cases was likely to be in the future according to Mr Lees. He said that there were 158 teachers who have died in the last 10 years from mesothelioma and 291 since 1980. He predicted that it’s possible up to 6,000 people could die of it in the next 20 years. Campaign groups want an audit from the government who say the majority of schools contain it. Mr Lees says the government is not aware of the type and condition of the asbestos in the schools and the review has not shed any light on this. He said the report had been ‘selective’ in the evidence it had put forward. He added that when many schools were built, there was heavy use of amosite, which is a certain kind of asbestos. It was used in areas of a building that are prone to damage from children, e.g. windows and door surrounds, walls ceilings and heaters. The NUT said it was planning to continue to lobby the government about what it will do to tackle asbestos in schools. In addition to the reaction from campaigners about the new government reviews, a BBC report has also highlighted the case of 37-year-old Chris Wallace, who has been diagnosed with mesothelioma having been exposed to asbestos while at school in Devon. Doctors found tumours in his stomach wall before they diagnosed the fatal condition. He said that he remembers there being holes in the classroom walls and that asbestos had been used to lag basement classrooms where there was dust on tables. He said at first that he was angry about the news of his illness and still does not feel enough is being done to tackle the issue. Mr Wallace received an out of court settlement from the council but it did not accept liability and that it does a lot to manage the issue of asbestos in schools.